Patents (including designs, inventions and utility models) issued by SIPO. Any copyright subject matter (provided the work is deemed protected in China). An application form for recordal (we would normally prepare this, and only in Chinese). A Power of Attorney (“POA”) (see attached). Copies of the relevant trademark registration certificates. If the trademark was extended to China through the Madrid Convention or Madrid Protocol, a certification of registration must be obtained from the PRC Trademark Office. Optional: A list of authorised suppliers, licensees or other parties that might import or export genuine goods (the “white list”). NB: We can file this later. Or you can decide not to provide this information ever, but keep in mind the risk that authorised goods will be detained by local customs pending confirmation the goods are legitimate—a process which, as you know, can take a few days. Optional: Information to help customs to identify infringing products, e.g., photos of real and fake goods; info on past infringers or suspected infringers; ports inside or outside China where fakes have been known to pass, etc. Recordal: US$500 per application (per registration), inclusive of official filing fees. Recordal of authorized suppliers: US$150 for one supplier; reductions when multiple suppliers are recorded at the same time. To process these filings, we require the Chinese-­‐language name of local suppliers, and preferably their phone numbers as well. It normally takes the General Customs Administration (“GAC”) 30 working days to process applications. Customs recordals are valid for up to ten years, provided that the underlying IP rights do not expire within this period. 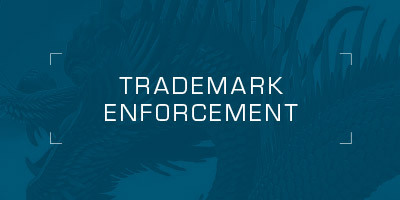 Typically, they do, and for this reason, it is critical that applications for renewal of trademark registrations be filed with the TMO as early as possible, that is, six months prior to the scheduled expiration. Thus, significant delays in renewing registrations may well result in the lapsing of customs protection and somewhat higher costs in re-recording (as opposed to renewing recordals). A POA (same as attached) is required to change your agent customs recordal and enforcement work. The change will be reflected in the GAC’s records within ten days after filing. The cost of filing is only $100, inclusive of disbursements. No official fees are imposed by the GAC. If the IP owner does not already have them, the current agent should provide the user name and password for accessing the IP owner’s account in the GAC’s online database. Upon accessing the account, we may recommend action points to update the data. Customs recordal is generally a condition to customs enforcement actions. Recordal is not a prerequisite for Customs seizure, but it is the only reliable way of ensuring the benefits of protection on sustained basis. As elsewhere, customs in China will proactively inspect less than five percent of shipments; but the rate of hits can be increased through training, as well as by periodic visits to the ports where fakes are shipped through the most. If customs detects suspected infringing goods, they will detain the goods and ask the IPR owner to quickly confirm if the goods are indeed fake. Verification must be given within three working days of receipt of notice, although some customs offices will press for a response within just a day. If the owners confirm the shipments are genuine, customs will release the goods. If the owner confirm the goods are infringing, then customs will detain the goods subject to immediate payment of a bond. Customs will conduct only limited investigations into the circumstances behind most infringements. But if the quantity of goods is high or the infringer is a repeat offender, they may conduct deeper inquiries, sometimes in cooperation with local police. In more serious cases, the entire file will be transferred to the police for formal investigation and eventual prosecution. Customs must make an infringement determination within 30 working days after the seizure. If customs deems the goods to be infringing, it normally will destroy the seized goods. The vast majority of cases are handled by customs alone, and result in confiscation of the goods and on occasion a small fine. Criminal actions are rare, and are best promoted through active lobbying by the trademark owner. Civil actions are possible on the back of a customs seizure. But the exporters of counterfeits are often very small companies with little or no assets, and thus an asset check is recommended before proceeding. SIPS fees for processing a customs case will normally range from $300 (for very simple cases) to up to $1500 (for more complex matters). Additional costs will be charged if we are required to have suspected fakes photographed at customs for verification purposes. We can normally agree to a cap of $1500 for all but the most complex matters. We can also agree to a fixed fee for all cases, should the volume of cases permit. IP owners are required to post bond before Customs take enforcement actions. The total amount is typically half of the invoice value of the goods, with a cap of about US$15,000 (RMB100,000). Customs will forego bond requirements for individual cases if the IP owner has applied for a general bond. To qualify, however, the IP owner must provide evidence that it has paid US$ 30,000 ( RMB200,000) in bonds in the prior year.